Electrical work can be a little intimidating. We get that. But it doesn’t have to be if you know the basic principles behind some simple electrical upgrades. 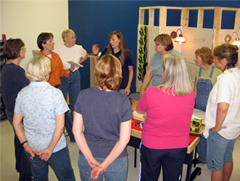 We’ll shed some light on updating fixtures, switches or outlets with some old-fashioned, hands-on practice.